Increase muscle strength, especially in the core, arms, and legs. Express (or learn how to express) your individuality. Connect with your physical body. Take your mind off of your everyday problems. Learn to listen to and follow your instincts. Learn and practice some Spanish. Connect with others (community, one of my favorite benefits). Have a great excuse to travel to Spain. 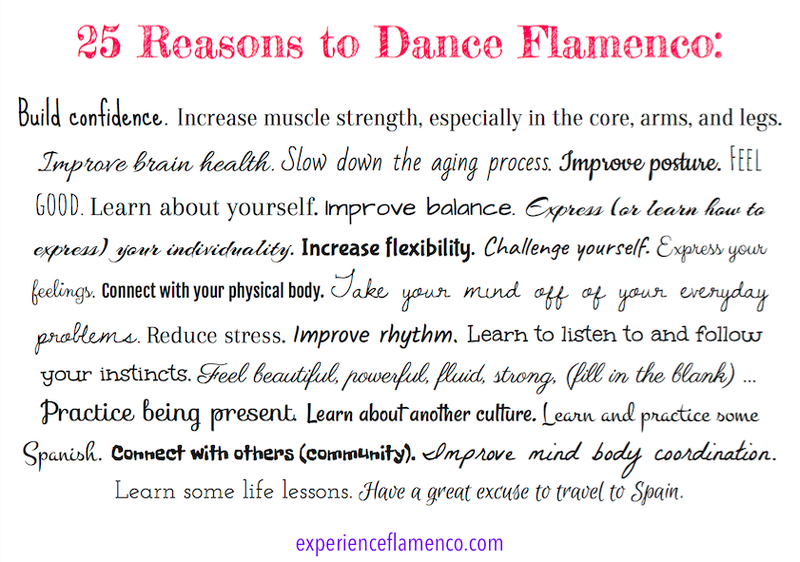 How Has Flamenco Helped You? I know you've got your own reasons for dancing flamenco. Why do you do it? How has it benefitted you or improved your life? Please let me know in the comments below.